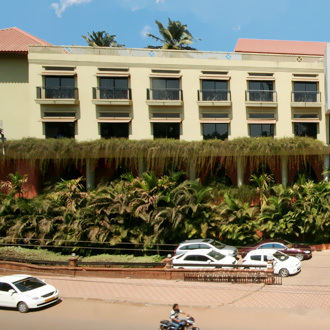 Centrally located near to the Calangute Beach, this property is designed with an atrium-style facade and maintains 150 elegantly-designed rooms and suites for accommodation. A 160-seat AC restaurant, a sports bar, a swimming pool, an ayurvedic center, a gym, and Jacuzzi and yoga facilities are available for rejuvenation. Conference facilities include fully-equipped halls with AV gear.